Rolls-Royce has delivered the first of its newly-developed permanent magnet tunnel thruster (TT-PM) to Norwegian company Olympic Shipping, who will operate the thruster on their vessel Olympic Octopus. Tunnel thrusters are positioned fore and aft on a wide range of ships and provide sideways thrust for maneuvering and holding position in rough seas. 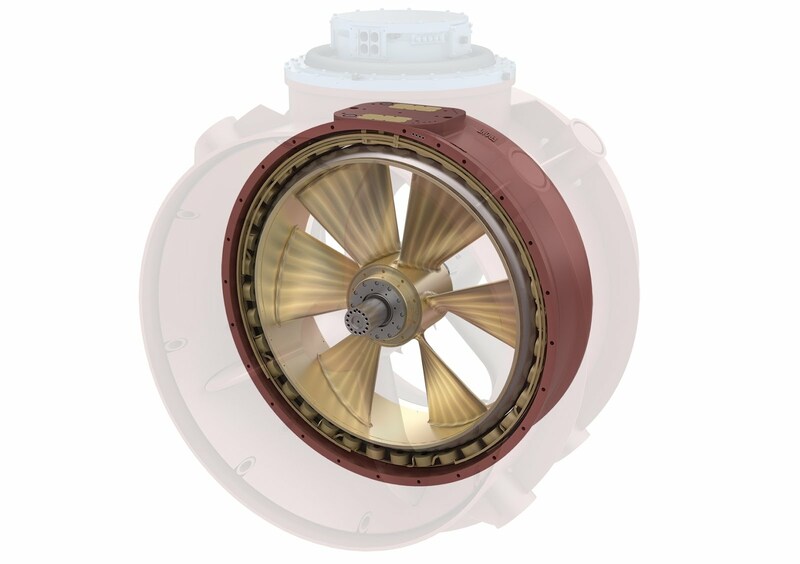 The TT-PM offers numerous advantages over traditional tunnel thrusters, including a 25% increase in power output of from the same size propeller, significant reduction in noise and vibration, and can be removed underwater, eliminating the need for dry docking. The new thruster design concept comprises a permanent magnet motor in a rim, which drives the propeller in the centre. The permanent magnet motor consists of a stator that carries a number of electrical coil windings, and a rotor fitted with a number of very strong permanent magnets. By having the motor in the rim, this frees up space directly above the thruster where thruster motors are normally located, making the thruster room available for other equipment or alternative use. A rotating magnetic field is created by the stator which interacts with the fields of the permanent magnets on the rotor, which generates force to drive the rotor around, providing the mechanical power. 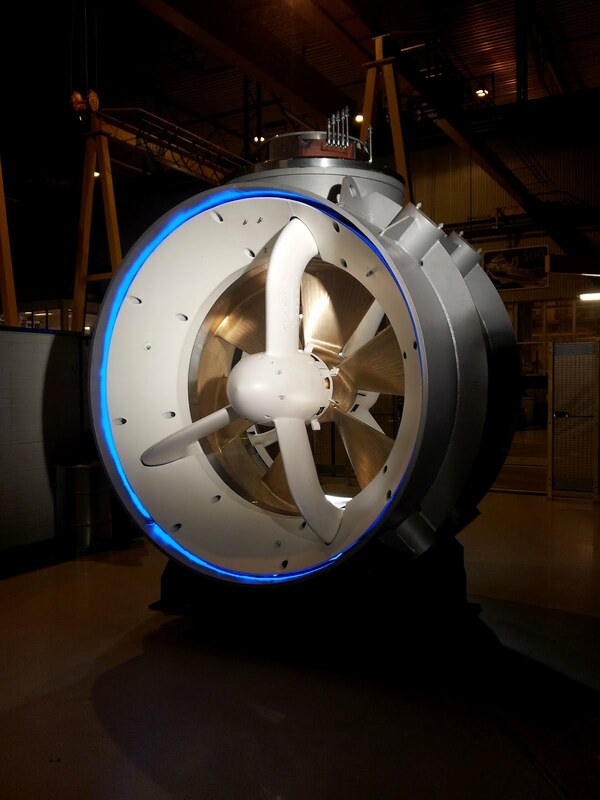 Rolls-Royce has put the thruster through an extensive test programme, operating it continuously for many months, demonstrating its reliability, enhanced maintainability, performance and operational efficiency. 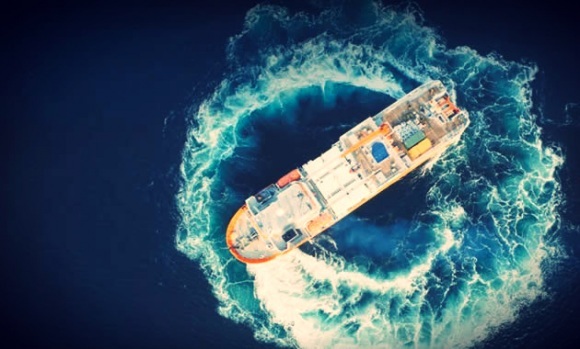 The vessel Olympic Octopus was delivered in 2007 and is a Rolls-Royce design UT 712 L multifunctional anchor-handling vessel (AHTS). The TT-PM is currently being fitted into the hull.